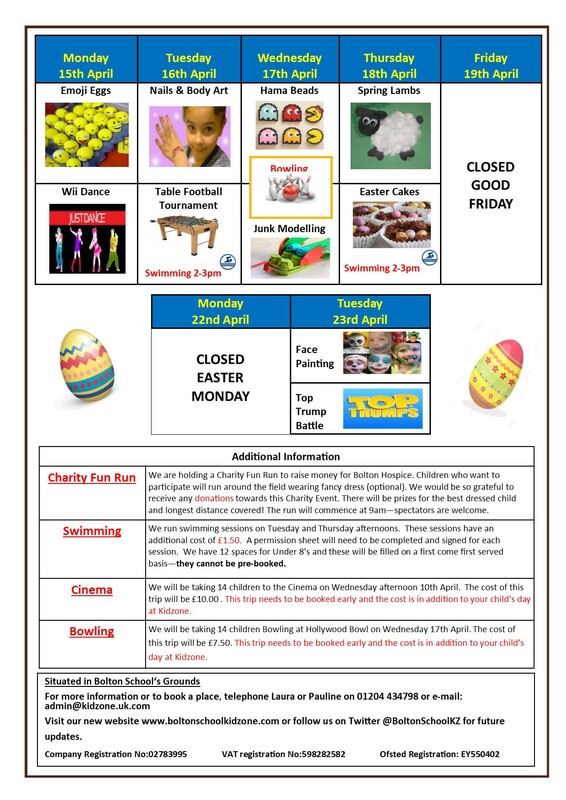 Our holiday club service is open to both Bolton School and non-Bolton School children. 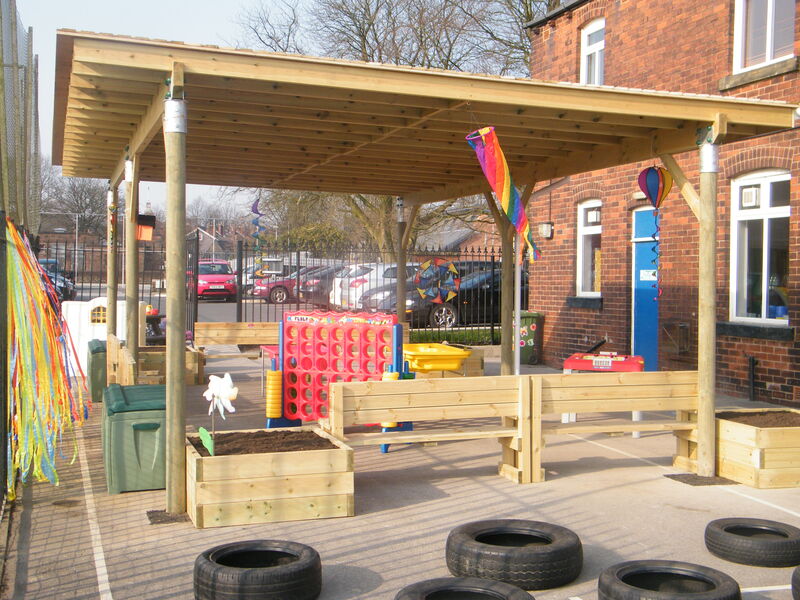 Bolton School Kidzone provides you with ‘hassle-free’ school holidays where your child can socialise with friends and make new ones. 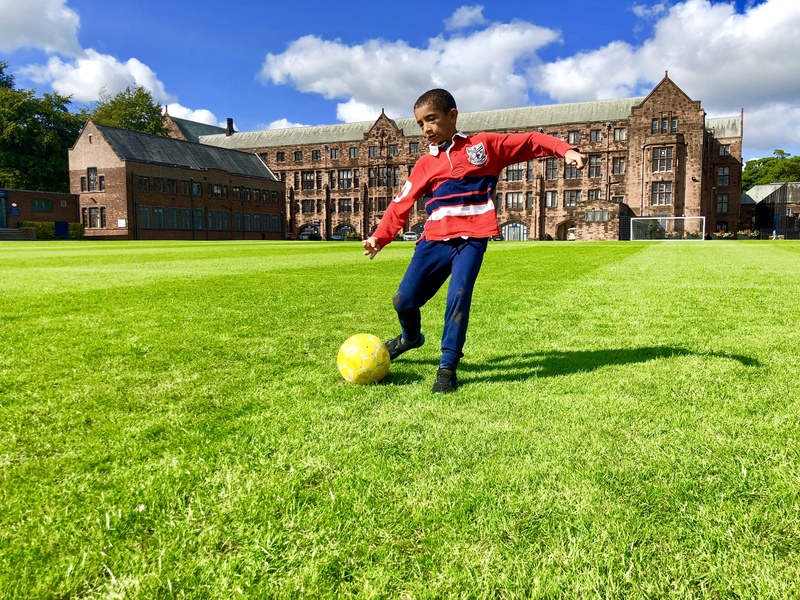 We offer many exciting external trips and activities through fun themes with the added use of Bolton School’s sports hall and swimming pool. This flexible service allows the options of a weekly, daily or sessional basis from 7:30 am – 6:00pm. All meals are included and provided by the Bolton School catering department. 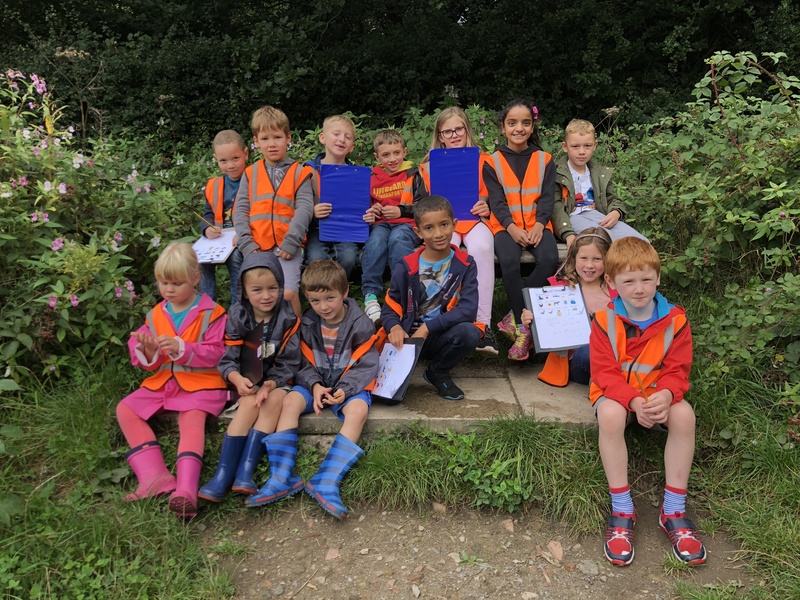 This holiday club service runs in line with the extended Bolton School holidays and welcomes any child aged 4 – 13 years. There are activities offered every morning and afternoon. 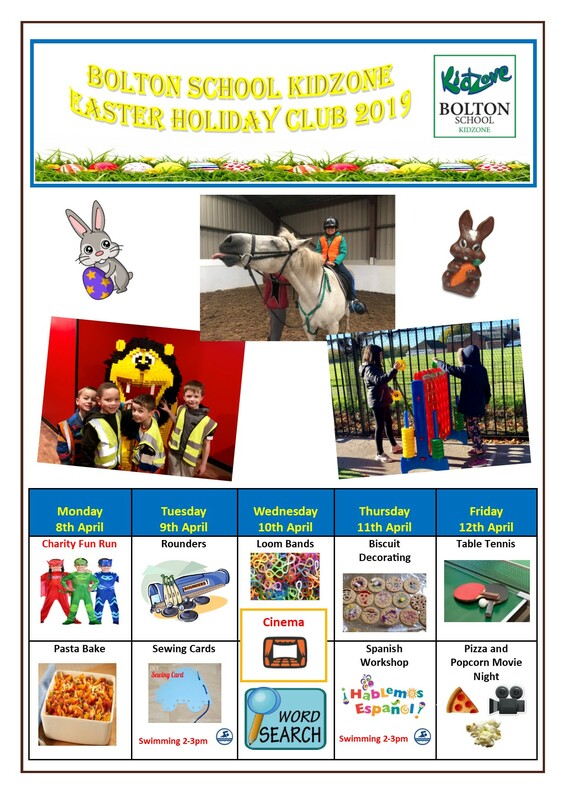 Please see our holiday club programme below for more details. The activities that are in a red box are at an extra cost – please contact us for more information. To book a place, please contact us via email at info@boltonschoolkidzone.com or by telephone on 01204 434798. Bookings can only be taken after a completed registration form and signed parent contract are received. You can find copies of these here.